I'm constantly frustrated by any amount of left over starter. It seems so wasteful. So most of the time I simply place whatever's leftover into the jar with the rest of Charlie - my loyal starter. 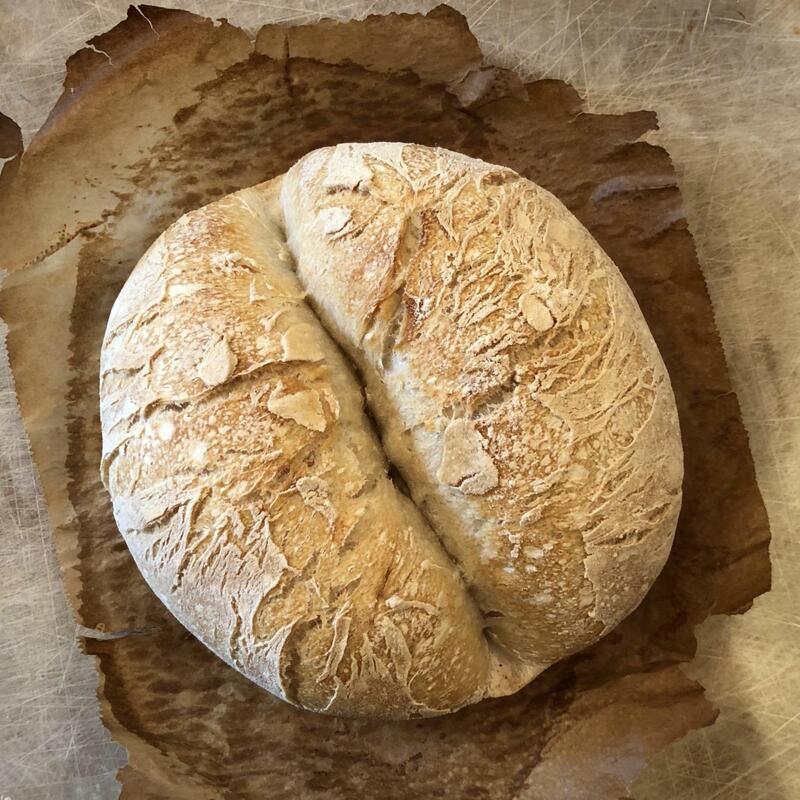 This weekend I made a solstice sun twirl bread and had way too much starter left over. I had originally planed to make some other bread but our weekend plans changed and I knew I wouldn't have the time to properly deal with it. So I thought about using the starter as a biga of sorts. 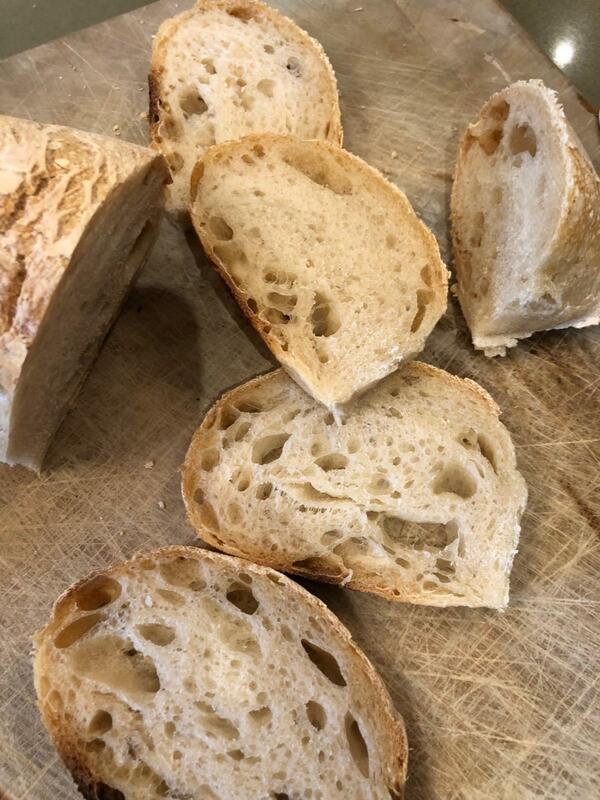 I took 260g of 100% hydration starter that was probably about two or three hours past peak and added 200 grams of unbleached flour, 88 grams of 105 degree water and 5 grams of salt. I gave them all a quick mix and threw it all into the mixer for 15+ minutes to fully come together. It was sticky but seemed fine. I shaped it into a ball and placed it into a clean bowl. I gave it two stretch and folds in the first hour to help with structure and then let it increase 2.5x in size over the next few hours. I gave it a quick shape and placed it into a basket. About 90 minutes later I placed it into the combo cooker to bake. I probably should have just baked it right away as the finger dent test told me were were just about there - but life got in the way. There's really no reason why I gave it a fendue shape other than because I could.. and think it looks cool when baked.. I clearly didn't' get any significant oven bloom. I think next time I'd give it a shorter bulk and longer proof. 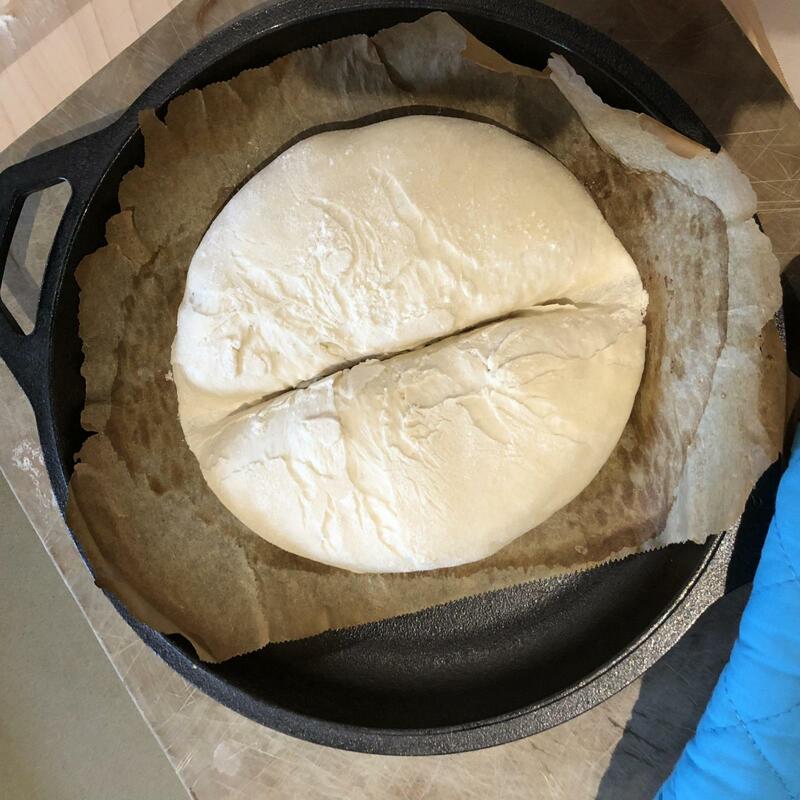 Just getting it out of the bowl took a lot of air out of the dough. By switching to a longer proof, short bulk I could have saved many of the openness (I think). That would have at the least kept more air in the bread. I guess I could have also added (I know this sounds sacrilegious) a pinch of instant dry yeast in with the flour that morning to help the oven bloom. It's completely edible basic 'white bread'.. a bit bland and a bit dry, but perfectly fine. Especially with a few fresh tomatoes, basil and olive oil! And a fair attempt at not throwing away starter. Any and all recommendations welcomed. didn't suffer much. Should make perfect bruschetta and toast for a week.